The Copa America Centenario erupted into controversy on Sunday after a refereeing blunder sent Brazil crashing to a 1-0 defeat against Peru – and out of the tournament. 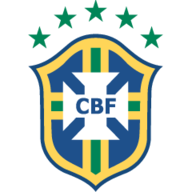 The defeat left Brazil struggling to digest their worst performance in the Copa America since 1987, the last occasion the five-time world champions failed to make it past the group stage. Brazil, needing only a draw to qualify for the quarter-finals as winners of Group B, looked to be on course for a place in the last eight with 15 minutes to go against Peru. But a rare foray into Brazilian territory from Peru ended with Raul Ruidiaz bundling in Andy Polo's cross from the by-line, appearing to use his arm to score. Ruidiaz wheeled away to celebrate and Uruguayan referee Andres Cunha signalled for the goal. Brazil's players protested furiously, swarming around Cunha in a bid to persuade the official to reverse his decision. The protests appeared to have swayed Cunha, who looked to be frantically checking with the fourth official via his headpiece to determine whether the goal should stand. Yet after a chaotic delay of around four minutes - with players from both sides surrounding the referee - Cunha ruled the goal should stand. Multiple replays from different angles, however, showed that Ruidiaz had used his arm to knock the ball into the net past Brazil keeper Alisson. Brazil pressed forward in the final closing minutes in an attempt to find an equaliser that would take them through but it was to no avail. Elias squandered a golden chance from close range in injury time and Brazil's fate was sealed. Peru will now play Colombia in the quarter-finals after finishing top of Group B.
Brazil coach Dunga lambasted the decision to allow Peru's goal. "I am sure the Brazilian fans saw the game and saw how Brazil was eliminated," Brazil coach Dunga said. "There is no way to anticipate imponderables. The team was not eliminated by anything to do with football," he added, criticising the lengthy deliberations between the match officials which held up the game. "I do not quite understand who or what the referee was consulting," Dunga said, adding that he had watched replays of the incident on screens in the Gillette Stadium. "It was such a clear handball, but we have no influence over the referee," he said. Peru coach Ricardo Gareca said "I thought we did enough to deserve to win" and added he had not had a clear view of the handball incident. "I haven't seen it yet. I've heard some comments. But I never think too much about mistakes by officials," he said. Brazil's early exit is certain to pile pressure on Dunga after what was a lacklustre tournament. The Brazilians, desperate to begin the road to recovery after their humiliating 7-1 defeat by Germany in the World Cup semi-finals two years ago, never convinced at any point of the group stage. A 0-0 opening draw with Ecuador - where a refereeing decision which might have given Ecuador a victory went in Brazil's favour - was followed by a 7-1 drubbing of Haiti, arguably the weakest team in the tournament. 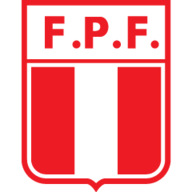 Another drab display against Peru followed on Sunday, with Dunga's side barely getting a shot on goal in the first half with the exception of a shot by Gabriel in the 26th minute that was tipped away by Peru goalkeeper Pedro Gallese. Dunga, meanwhile, emphasized that Brazil's long-term rebuilding job would take time. "There are no quick-fixes," he said. "We will need to be patient." You can watch the Copa America live on Premier Sports.